We have provided multiple photos of the item to show the condition. Killzone 3 -- Helghast Edition (Sony PlayStation 3, 2011). Condition is Like New. Shipped with USPS Priority Mail. 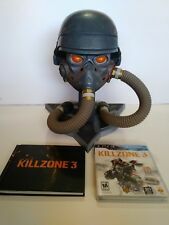 Killzone 3 Helghast Limited Edition Helmet ONLY - FREE SHIPPING. 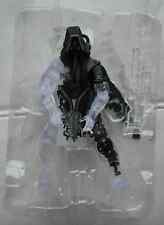 Condition is Used For sale is a Killzone 3 Helghast Limited Edition Helmet ONLY. The helmet is in excellent condition. It has some wear. This sale is for the helmet only. We have provided multiple photos of the item to show the condition. Thank you for looking at our auctions. Good luck! We have more great items for sale in our eBay Store! All items ship within 24 hours of payment! Game ,book and helgast are in great condition see pictures for details. Feedback Is Very Important To me i Sincerely Hope You Can Leave me Positive Feedback If You Are Satisfied With Our Product And Service. Negative or Neutral Feedback Doesn't Solve Anything,i Aways Try my Best To Offer 100% Satisfation Service. So If You Have Any Problem,Please Contact me First Before Leaving Negative Or Neutral Feedback. Thanks. Lot group, what is pictured is what you get. Not a complete edition of box set, missing game, voucher, art book. Comes with bonus guide though. Box is banged up and dusty. Guide hase some folds on pages here and there.